MTV’s hit show Teen Wolf will be at Comic Con 2012! Comic Con 2012 is almost one week away and as Zennie62 is headed for coverage of the largest celebration of the popular arts for the third straight year (and with Tout.com as sponsor) I thought it would be fun and informative for you to present some of the press releases I have been sent thus far. Given that many of them are stuffed full of information, rewriting them seemed stupid to do – something would be left out. New York, NY (June 27, 2012)— MTV announced today the hit drama “Teen Wolf” will be back at Comic-Con for the third consecutive year, with a panel featuring all the stars from the series, and a special sneak peek of an all-new episode. In addition, MTV Geek! will host a live pitch competition between three top comic creators in the industry. For those who can’t make it to San Diego this year, MTV News and MTV Geek! will bring the Con to fans providing wall-to-wall convention coverage. “Teen Wolf” cast members Tyler Posey, Dylan O’Brien, Crystal Reed, Tyler Hoechlin, Holland Roden and Colton Haynes are taking Comic-Con by storm again, and giving fans an exclusive first-look at an all-new episode, along with the latest scoop from season two during the Q&A session, moderated by TV Guide Magazine Senior Writer, Damian Holbrook. Fans will want to stick around for the can’t-miss world premiere trailer of MTV’s upcoming scripted comedy series, “The Inbetweeners,” immediately following the Q&A session. The series, from executive producer Brad Copeland (“Arrested Development,” “My Name is Earl”), will premiere Monday, August 20 at 10:30 p.m. ET/PT on MTV. On Thursday, July 12, join MTV Comics Executive Editor Tom Akel for MTV Presents: Creator Pitch LIVE!, a live pitch competition between three of the top creators in the business, including Image co-founder/Top Cow CEO and co-creator of “Witchblade” and “The Darkness,” Marc Silvestri, co-creator of the “Teenage Mutant Ninja Turtles” and owner/editor/publisher of “Heavy Metal,” Kevin Eastman, and Eisner Award-winning creator of the all-ages hit “Mouse Guard,” David Petersen. Just three weeks prior to Comic-Con, the creators will each be given the same topic, something that’s been a hot button issue to the industry from the past year, from which they will draw their inspiration to develop a new comic series. Creators have 10 minutes to present their pitch to the fans, there will be time for questions, and then put it to a vote that’s determined by the fans. MTV News and MTV Geek will be live all week long from San Diego delivering complete coverage from the panels, on the floor, in the press rooms, on the streets, and live broadcasts from the Hilton and the Omni hotels throughout the week. Join hosts Josh Horowitz and Steven Smith for fan-favorite movies, comic creators, TV shows, cosplay, gaming and more! Keep it locked to www.comic-con.mtv.com for the schedule and updates and follow along on Twitter using #MTVSDCC. 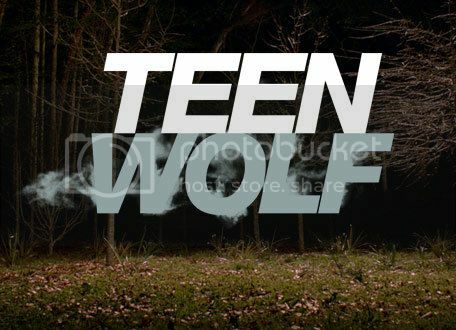 Be the first to comment on "MTV’s Teen Wolf At Comic Con 2012"